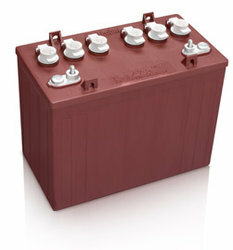 Trojan T-1275 Golf cart Battery Free Delivery to most locations in the lower 48 States*. Cost of this battery in Minnesota. Wisconsin, Iowa, Illinois, Kansas , Missouri Nebraska Oklahoma and Texas is $249.99.